More Food & Wine! More VOTES Needed! Eat Up, Folks! | It's "All in WDW"
More Food & Wine! More VOTES Needed! Eat Up, Folks! Wow! What a response the last two days! I can tell, my friends, that you are all anxious for Food & Wine to open its doors. The voting has been fast and furious! They’ll all be back in a few weeks to see if they can break into your 2017 WDW Fans’ Food & Wine Pre-Festival Top 20! That brings us to today. 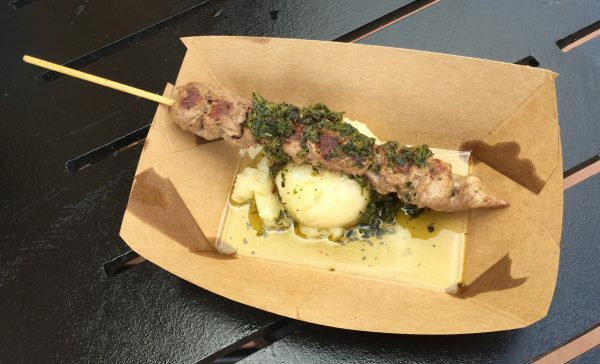 Like the past two days, I present a batch of Epcot’s delicacies below! Your job will be to select as many as five (5) items from the list. The Top 5 dishes will move forward in the “competition”! Go ahead, folks! VOTE! ← Another “Group” Opens Up! VOTE Food & Wine Entrees!